I stayed recently at the Silver Lake Resort in Washington State at the foot of Mt. St. Helen. 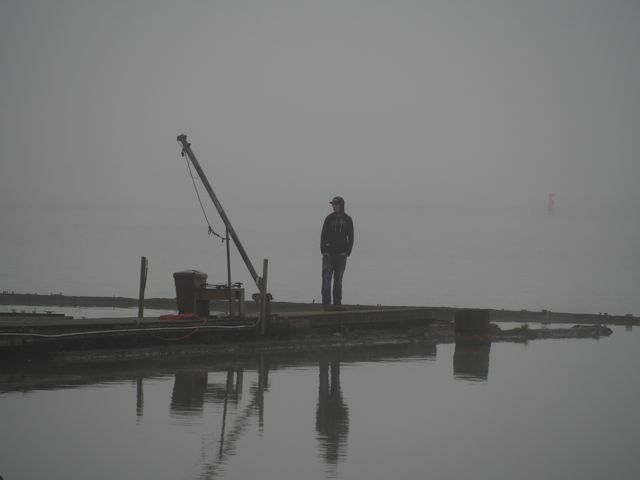 The morning lake was misty and glassy, but the anglers were standing around drinking coffee and getting to go out after the big bass anyway. This lone figure out at the end of the dock seemed to me to be from that liminal space between dream and waking where I feel one foot in each world. Silver Mist Man reminds me that I was there too that misty morning. Here is my take on rising fog and obscured light.